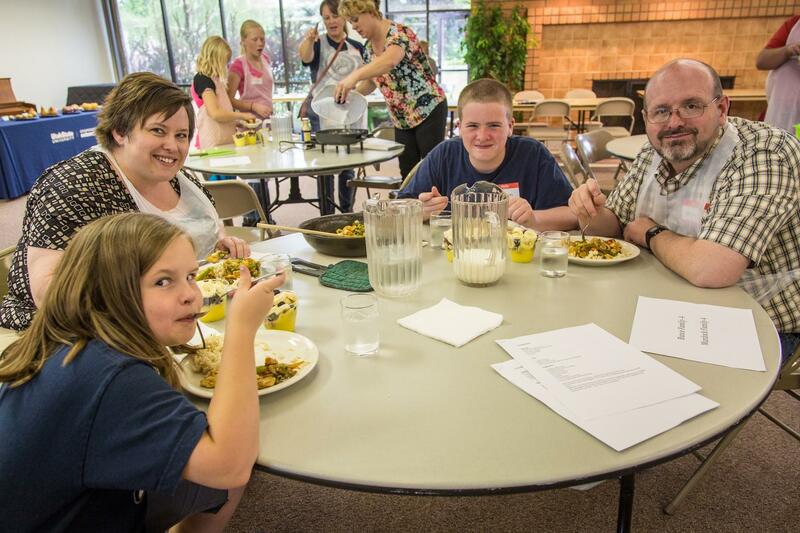 Utah State University Extension's Food $ense program developed a class to help families learn more about successfully cooking and eating together. September is National Family Meal Month. To help Utah families enjoy the health benefits of eating together, Utah State University Extension’s Food $ense program is providing a variety of online materials and classes. Although the month is almost over, families can still take advantage of these resources. Food $ense is posting free materials on their Facebook page and the Eat Well Utah Facebook page to help families plan meals together. Resources include a recipe book, meal plans, quick tips and personal stories about family mealtime experiences. A free class entitled Create Family Meals is designed to help families learn more about successfully cooking and eating together. It’s target audience is families facing intergenerational poverty. “A lot of the kids actually really love coming and cooking with their parents, and the parents have said, ‘Wow, I’m really surprised that my kid actually can help me cook in the kitchen,’” said Jacqueline Neid-Avalia, the project leader. She said goals for class outcomes include increasing the amount of fruits and vegetables consumed by families and helping adults improve cooking skills. The curriculum is being translated into Spanish with classes scheduled to begin in November. Class topics include food safety, budgeting, meal planning, having family meal time at breakfast and cooking from common pantry foods. LaCee Jimenez is a Food $ense program coordinator. “In real life, sometimes the kids make a big mess and that’s O.K.," Jimenez said. "Sometimes family meal time has to be breakfast. Everyone can do it and not be too hard on yourself if it’s not how you think it should be." Research shows family meal time has many physical and psychological health benefits for children, Jimenez said, including a lower risk of obesity and depression, and a decreased likelihood of alcohol abuse or drug use.